Live it! 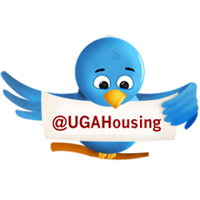 UGA Housing: Welcome to Orientation 2012! University Housing is excited to meet our incoming students as they arrive on campus this week for new student orientation. Last Thursday, Orientation Leaders (OLs) met with University Housing staff to hear about the exciting things happening in the residence halls this year. Orientation Leaders were excited to chat about their various experiences living in University Housing. 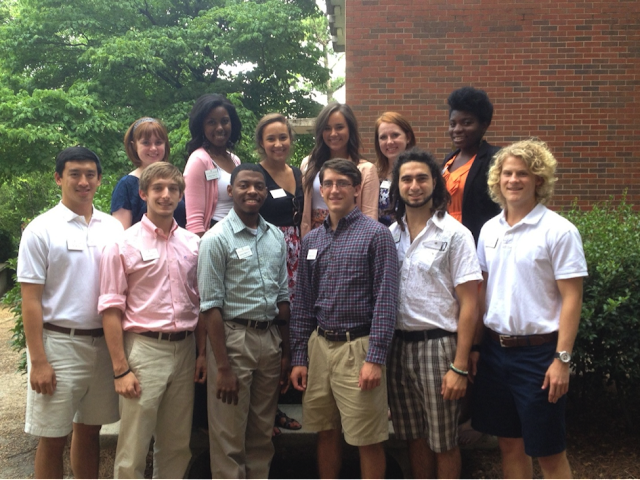 Brumby, Church, Creswell, Lipscomb, Reed and Russell Halls all have former residents on this year’s orientation team. Friendly debate ensued as the OLs discussed which residence hall was the best to live in. No conclusion was reached, but they all agreed, living on campus their first year was an amazing experience. Rutherford Hall will be torn down this summer, rebuilt and open for the 2013-2014 academic year. We’ll miss the old Rutherford but we’re excited to carry those old traditions into a brand new Rutherford Hall! Hall assignments to most students have been emailed to student UGA email accounts. Students are encouraged to check their UGA email regularly to stay updated on their room and hall assignments, and move-in. Hunker Down with Housing – University Housing’s official move-in program – will begin at 9 a.m. on Wednesday, August 8, 2012. For more info on move-in check out the Hunker Down with Housing website. We are excited for new and returning residents to arrive and begin an amazing journey!